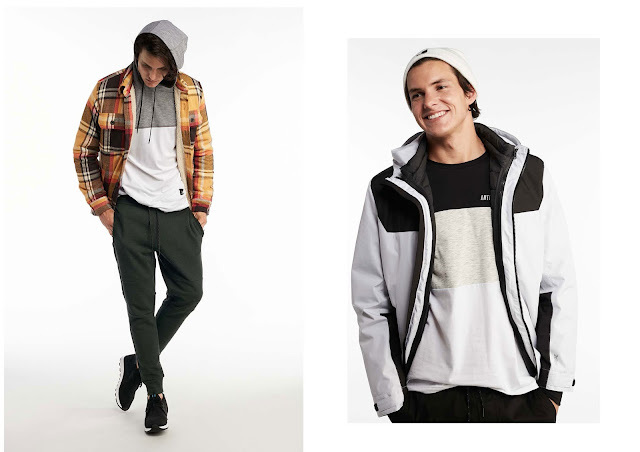 American Eagle Outfitters’ (AEO) has just launched their sartorial collection inspired by whimsical shades of neon. Audacious fluorescent hues, daring fabrics and intricate textures, sums up the whole American Eagle Outfitters' Holiday 2017 collection. And if you were to ask us, these are your must-have pieces for this season! Other than the bold design, American Eagle Outfitters has also included superlative denims inspired by the “GIVE.LOVE.JEANS” campaign. So it's time to reflect and express your giving spirit with AEO! In the women's department, AEO captures the quintessential American vibes with East Coast Classic meets West Coast Cozy. So whether you are the classic boyfriend plaids kind of gal or stripes with neon accents or even cozy feminine details and relaxed silhouettes, they have you covered. Also spoil yourself and loved ones with a range of beyond soft textured sweaters in palette of blush to keep you warm, cozy and sophisticated. Whereas in the men's wardrobe, they have the global New Heritage and Urban Expedition trends like the athleisure and military styles. Guys, you can now update your wardrobe with great style and performance pieces ranging from hyper graphic tees and fleece, rich colored hoodies perfect for color-blocking to hardy down jackets and delicate textile sweaters that can easily mix and match to pull off stylish getups ! Spend $200 and become a Star Rewards VIP member and claim an instant $20 Voucher. For all students, simply flash your student ID to get all year round 10% discount.